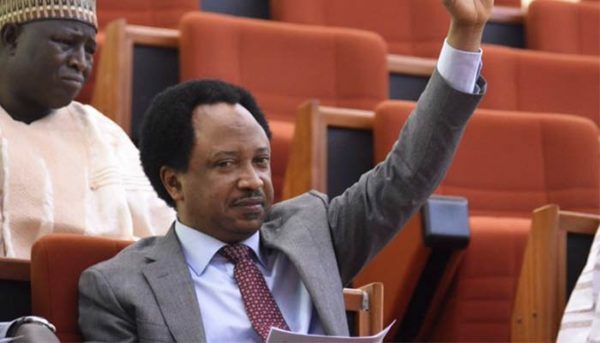 The Senator representing Kaduna Central Senatorial District, Senator Shehu Sani on Tuesday stormed the headquarters of the Joint Admissions and Matriculations Board (JAMB) in Bwari, FCT with snake charmers. Philomena Chieshe, a sales clerk in the JAMB office, Makurdi, told JAMB registrar and his team that “she could not account for N36 million she made in previous years before the abolition of scratch cards. “In the course of interrogation, Philomena denied the allegations that she stole the money but confessed that her housemaid connived with another JAMB staff to spiritually (through a snake) steal the money from the vault in the account office,” the report said. 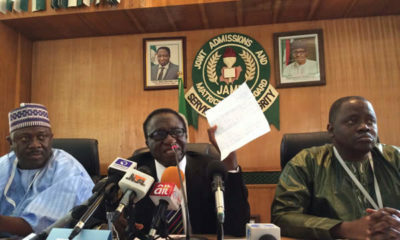 He explained that it was very clear the incident did not happen during the tenure of the JAMB Registrar, Ishaq Oloyede. Responding, the Spokesperson for JAMB, Fabian Benjamin explained that on assumption of duty, the present registrar discovered that there were loopholes in the sale of scratch cards. “Ms Philomena Chieshe was entrusted with a number of scratch cards which she sold and N36 million could not be accounted for. When asked she actually said she sold them at the said amount, kept the money in the public vault. “A report put together and sent to the Minister of Education Mallam Adamu Adamu and as soon as that report is approved, she will be disciplined and handed over to the appropriate security agency for proper profiling. Hahhhahhaaaaa! Correct! Snake chop that money ahhh tink? ? ?‍♀️Ngwanu, he’s got the remedy. ????. What a joke of a Nation! ??????? Stop saying negativ word about Nigeria, it is not the right thing. The right thing to do is, the evil people behind this in JAMB office, is the ones we ALL, I mean ALL Nigerians make sure they face jail term. We all should not stop till EFCC make sure the JAMB pay back. This is what we as Nigerians should be doing and not saying negativ about the Nation. There are sooooo many bad thing happening in USA, Europe and etc the citizen don´t insult their country but make sure the criminal are punished. WE Nigerians should cry out for those who steal to be punished. Bless Nigeria at all TIMES because it is the only country you have, PRAY FOR HER. God bless Nigeria in Christ Jesus Amen. I’m ashamed of this country. oh lord! 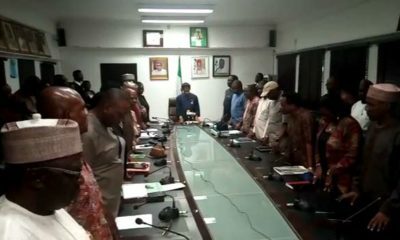 Please on this day of our lord (ash wednesday), the pagan st valentine and whatever odun orisha is being celebrated in my village today: i surrender my Nigerian passport to you Lord, make like you did in the days of Moses and turn it to that american blue, or any other shade that isn’t green… AMEN!